East West Designs has been manufacturing and supplying specialty beds and bedroom furniture since 1987. Now operating from a 100,000ft facility in Auckland, East West Designs manufactures using mainly locally sourced materials and distributes nationally throughout New Zealand. Supplied under the East West International label, East West Designs supplemented its own manufacturing with selected ranges from overseas suppliers. These ranges offer a variety of designs featuring timbers and materials with which it would be difficult to economically produce locally. 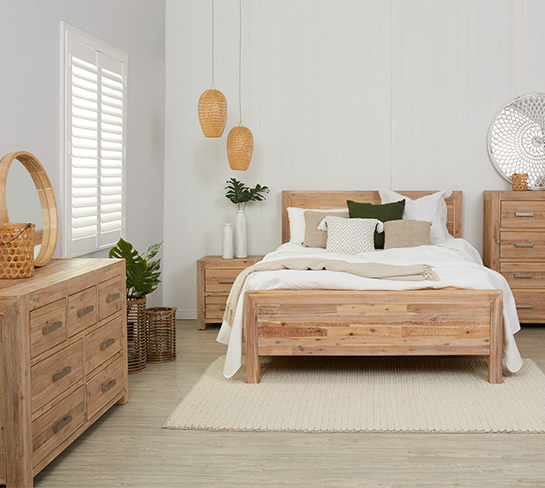 When you choose an East West Designs bed or bedroom furniture you are investing in a beautifully finished, handcrafted piece of New Zealand made furniture. If your choice is from our East West International range you can be confident that your selection has been included in our catalogue only after we are satisfied that the product meets our own high quality standards. Rest assured that your choice is backed by almost 30 years’ experience in supplying specialty beds and bedroom furniture to discerning New Zealand customers.